The breadth and depth of Massey University’s postgraduate microbiology programme is unique in New Zealand. The Massey University Master of Science (Microbiology) is a multi-disciplinary postgraduate qualification that will give you the research skills to move up the hierarchy of your career, or move onto more in-depth research. You will learn from world-leading specialists in microbiology and related areas like biochemistry, genetics, biotechnology, food science, plant pathology, immunology and epidemiology. At Massey we use a diverse range of molecular, cellular, plant and animal model tools to investigate the molecular biology of diseases. We also use metagenomics and other advanced genomic technologies to study microbial communities in the environment, including those that may be health threat if found in food or medical environments. Our biomedical interests are diverse. We research the mechanisms of neurological, skeletal and muscular disorders, infectious microbial diseases and cancer. Facilities available to you include our microscopy and imaging centre, genomics and DNA sequencing facility, protein analysis suite (mass spectroscopy, x-ray crystallography, NMR), bioreactors and fermentation facilities. Microbiology is an essential science that helps us understand the microbes in the environment, including those that dwell in the soil, air and water, in our food and inside people, animals and plants. use of “good” microbes in prebiotics or probiotics, or microbial community transplantation between patients. Have an environmental impact through creating alternative ways to produce fuel, or by increased ability to mitigate the greenhouse gas emission by working with the microbes in the cattle rumen. You will gain the advantage of learning in a multi-disciplinary environment. Massey has world-leading expertise in many areas of science, especially veterinary, animal, health and environmental science. You can take advantage of this for your learning and research to look at microbiological sub-disciplines, such as environment/ecology, food and biotechnology. During your study you will gain a contemporary, relevant view of microbiology which is in line with topical research and developments in the area. You will be exposed to the latest discoveries and research. There is a well-established community of fundamental scientists and students involved in a broad range of microbiological and microbiology-inspired research at Massey. We work together to share discoveries and research and provide peer support. Postgraduate study is hard work but hugely rewarding and empowering. The workload of the Master of Science (Microbiology) replicates the high-pressure environment of senior workplace roles. Postgraduate study is not just ‘more of the same’ as undergraduate study. Our experts are there to guide but if you have come from undergraduate study, you will find that postgraduate study demands more in-depth and independent study. It takes you to a new level in knowledge and expertise especially in planning and undertaking research. 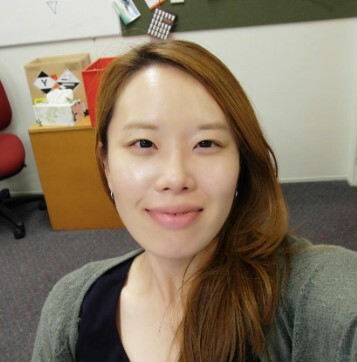 "After completing my MSc degree in microbiology, I joined the Food, Nutrition & Health group at Plant & Food Research and continued on at Massey University as a PhD student. Our research specialty involves looking at the beneficial effects of healthy gut microbiome on gastrointestinal health, glycaemic control, mucosal immune response, weight management, nutrient utilisation and fibre digestion. During my PhD I discovered ‘Monosphaera pectinilyticus’, an important plant polysaccharide-degrading bacterium from the human large intestine. The anaerobic microbiology skills and theories I learnt during my MSc studies proved to be invaluable during my PhD for growing fastidious anaerobic bacteria, and exploring the ever-expanding association of microbiome and the human health. My MSc training made me a better microbiologist, who values good research practices, innovative science, ethical decision making, effective communications, and scientific contributions to society. I would highly recommend the MSc programme to others. It has been an enjoyable and rewarding experience." If you are interested in pursuing further research, microbiology is a key discipline of biological sciences. Microbiology research skills are particularly suited for work in the research or teaching institutions in the fields of biomedicine, bioprotection, biotechnology, epidemiology, veterinary and plant pathology. There are also roles in the legal or business sectors, for instance assisting with the commercialization of science, drafting of patents and technology transfer agreements. Dairy, food, pharmaceutical and biotechnology industries are key employers, however there are numerous other opportunities in cosmetics, breweries, food and oil industries, horticulture, and agriculture. Government and private sectors provide opportunities for bioprotection, regulatory, sample testing or diagnostic laboratory positions. 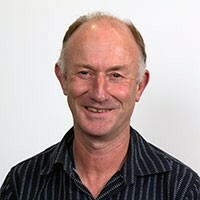 Professor Flint is Professor of Food Safety and Microbiology and Team Leader for Food Bioscience at Massey University. He leads a team of postgraduate research students studying a variety of food safety and quality issues with an emphasis on understanding biofilm development and control with a focus on the dairy industry. Future research will focus on bacterial interactions in biofilms and mechanisms of biofilm dispersion. Steve has more than 100 scientific publications and more than 100 presentations at national and international scientific conferences. He lectures in food safety and microbiology and does consultancy work for food manufacturers. Steve is a fellow of the New Zealand Institute of Food Science and Technology, member of the American Society for Microbiology, member of IAFP and a certified food scientist with the Institute of Food Technology.